Across the FLAT breadth of the Earth? The whole point of this verse is that at no time do you ever arrive at East and/or West. They are so far removed from one another that there is no way to measure the distance. If you go East, you never arrive at West like you do when you go North (on a globe) and eventually end up going South. So, you simply cannot apply the “four corners/quarters” of the Earth to anything to do with the cardinal points on a compass. Oddly enough, KJV Only fanatic Mike Hoggard uses this same passage from Job to try and refute the flat Earth model, by INCORRECTLY stating that “clouds are a swaddlingband” for the Earth. First, he misquotes this text. The clouds are resting on the Earth as a garment, whereas it is the “thick darkness” that is tightly surrounding the Earth like swaddling bands. Nothing about this is in contradiction to the flat Earth model, which has the firmament (and the Earth within it) surrounded by the thick darkness of the waters above, below and all around it. Second, he dismisses the language of the preceding verses, which describe the foundation of the Earth being laid (which implies being set ON something). The text then goes on to describe stretching a line UPON the Earth, not all around it. Job also goes on to describe a boundary for the “proud waves” to be stayed and go no further (a statement, which perfectly fits the FE model with its two to three hundred foot outer ice ring). Mike – and plenty of others like him – conveniently ignore all of this, along with the statement of taking “hold of the ends of the earth” so that the “wicked might be shaken out of it.” Where are the ends of the globe that one can take hold of and shake it? And if all of the above weren’t enough, it is the last verse that ties Job with Revelation, wherein it describes the Earth as being pressed FLAT as clay is to the seal. Once again, I have to say, like it or not, believe it or not, accept it or not, the proof that your Bible is a flat Earth book from Job/Genesis to Revelation is undeniable. Good stuff. I watched the video too. I used the sun in the clouds Job 37:21 on my wall. I don’t out right admit or ever use the words Flat Earth on my wall. I get too much flak just posting anti-NASA stuff. Anyway. The Bible does say Flat Earth. pretty cool. Rob..ur doing an excellent job for YHWH..now what of the Sabbath day? Is YAHs mark..if we don’t have it-by default we certainly have the mark of the beast. Flat earth is note worthy I agree,however it’s not a part of the salvation plan. U are Messianic Hebrew- get busy guiding his sheep from the slaughter. I also do regular radio interviews talking about this stuff and travel all over the country nearly every month doing conferences, telling people the same things. So before telling me what to do (e.g. “get busy…”), please do a TINY bit of research to see if I’m already doing this very thing or not. And I love listening to your videos. I am learning so much from you. This hunger for truth and for God is on fire within me and I’m very thankful for the effort you’ve put in all your videos and radio talks. Keep up the good work! Thanks for guiding this sheep. Not part of the salvation plan? How about hiding the salvation plan? That is the whole point of the globe lie. You have no idea how many unbelievers have come to faith while researching and coming to understand flat earth. They are hiding our Father from us! that and flat is a bad term. theres hight width depth. What I continue to find amazing is how anyone who presents themselves as a spiritual teacher can continue to believe in an imaginary Luciferian originated, Masonic developed and lying Nazi NASApropagated implausible spinning Ba’al ball heliocentric sun-worship based false solar (soul lure) model! Hmmm, considering that Skiba says he does not believe flat earth….maybe you should apply your own judgement to your alleged teacher? Maybe Skiba will finally give a concrete answer on the subject. Try actually getting a clue before posting in the future. Thanks. LOL Your conclusions do not state what you conclusively believe! Now that is extreme ignorance! Thanks for all of your hard work,Rob. You keep nailing all of these little nuggets of info. Excellent work! I thoroughly enjoy your work Rob! My family and I were brought back from the “land of confusion” that is the world today to the truth of God’s word. Your continued work and efforts are truly inspiring and motivating! Thanks for this wonderful pearl! May Yah bless you! be the shape of our universe, but was told it will make sense in time. several times over the next few days, but kept on jumping out at me. physical plane of existence dome. Since then, I have uncovered many lies and deceptions from Governments around the world, including plans so evil, it is hard to believe and would make the hair on the back of your head stand up. I’ve posted bits here and there, but kept the worst back from FB. All this to say’ Jesus is the only way to eternal life and I know most of you will reject it, with every fibre of your soul and that’s because there is a spiritual war going on all around us, for the hearts and minds of us all. As God is rejected, so evil pervades. Soon Our Father will not hold back the tide of what is to come, any longer. He has reached out to all, but mostly fallen on deaf ears. His Love and Mercy is so much more than you could ever imagine. And definitely Not Religious as 99% of the world teaches. You cannot use the bible to validate the flat earth. The bible actually debunks the flat earth if people read the scriptures without the mis-informed bias that atheist created to mock the scriptures and that believers have willingly adopted. If you think the Bible even remotely supports any notion of a spinning, heliocentric ball shaped Earth you are out of your mind. And no. Atheists didn’t come up with the idea that the Bible IS a flat Earth book. Hint: study a LITTLE bit of history and discover that virtually everyone (including the Holy Spirit inspired Hebrew authors of Scripture) believed the Earth to be flat and under a dome. And this view held for about the first 2/3 of recorded human existence. To deny this is to only prove how exceptionally ignorant you are. I just scanned your site. I have no time to read through all of it and no desire to refute everything you have claimed to refute there. Suffice it to say, there is plenty to refute, but it would be a waste of time. And sorry, but no. You have not debunked Enoch. Nice try though. Just from what little I read of the opening of your blog, you set the stage with MANY totally unsupported claims and then proceed to base your entire thesis on it. LOL! Wow. And skimming through your various claims of “ERROR!” and subsequent commentary, there is likewise MUCH I could easily refute (and perhaps someday will in an upcoming publication I’ve been working on). For now, I’ll just consider your silly attempts not worth the time and effort to waste any further energy on. Said that guy that has stated how many times that you yourself do not believe in flat earth? You have opened my eyes. I listen to your videos every night. Hearing Yahweh’s word from you has def been life changing for me. For that I say “Thank you, Mr. Skiba.” Keep up the great work. I so admire your dedication,enthusiasm and humor as well. Dude, what in the world are you doing here? At this point you’re beginning to look like a troll. Rob has stated numerous times that he whole heartedly believes in a biblical earth, that is a textured, circular plane inscribed upon a foundation with four corners supported by pillars and covered by a protective, firm dome-like structure. The fact that you keep repeating your stupid attempt at rebuttal or to discredit Rob’s position on cosmology is evidence of one or two things. Either you are a troll, trying to waste his time, or you have a mental disorder. When i first came across the idea of the flat earth, I thought to myself, “how stupid must you be to believe in such garbage?” I would watch some videos on YouTube on the topic for a laugh, I thought, until I was smacked across the face with some data that defied speculation. Still to this day I struggle with this conundrum, because the implications if true are “earth shaking.” Besides the scientific consensus, the one question I would love Rob Skiba or any other flatearther to answer would be… If the Earth was flat it would require a conspiracy to refute it that would not only encompass every pilot, navigator, and captain ever to fly a plane or steer a boat around the globe to silence not to spill the beans over the conspiracy, because wouldnt they have direct knowledge if the earth was round because it takes a different type of navigation to travel over a globe than a flat surface? No matter how powerful an entity could be, it would never be strong enough to keep all these people silent throughout time, not to mention all the scientists and people in other fields who would have direct knowledge that the earth wasnt flat. It boggles the mind, but until someone can answer this proposition honestly I cannot buy into the flat earth model. My email is robertjgibson1981@gmail.com if someone can please message me and explain this to me, I would be much obliged. I’ve already addressed the “it’s too big a conspiracy” routine several times. The simple truth is VERY FEW would have to be “in on it.” And certainly not plane pilots. They NEVER see a curve. They fly the “Great Circle Route” navigation all the time – which on a circular map is in fact a straight line. They’re just doing their job, not realizing they see the evidence for FE every time they fly. Ship captains are pretty much the same story too. NO CURVE EVER observed – especially laterally. Think about it. If the earth looks curved to you in your field of view, then you shift your FOV 45 degrees to the right and CLAIM to see curve again, you just turned the Earth into a McDonalds sign, with the two ends of your alleged curve connecting in the middle at the dipped ends. This – can – not – be. Neither can you expect to ever rise off a ball and see the horizon rise with you (which it does). Pilots and ship captains are just victims of the same nonsense we’ve all believed. And nothing in their every day work supports the ball. Ive watched some of your videos and I can follow your logical explanations for the conspiracy problem. The biggest problem I have now is how can a flat earth model explain the lunar eclipse. sure you can get a solar eclipse in that model, the moon passing in front of the sun, but a lunar eclipse could not be explained because the sun if it passed in front of the moon would not cast a shadow on the moon as it does in real life when the earth is between the moon and sun in real life. I know your a very busy man and I really appreciate your reply. If you could explain this to me it would go a long way for me. Keep up the good work. Psalm 19 gives us BOTH a picture of a spinning ball AND a picture of an Earth moving in an orbit AROUND the Sun. The Sun DOES MOVE against the background of the Mazzarroth / the Zodiac. The Sun is against the background of the constellation, Gemini during our May-June-July months. The bright sunlight prevents our seeing Gemini in the midnight sky. Why is that Rob? You have yet to give your reply. 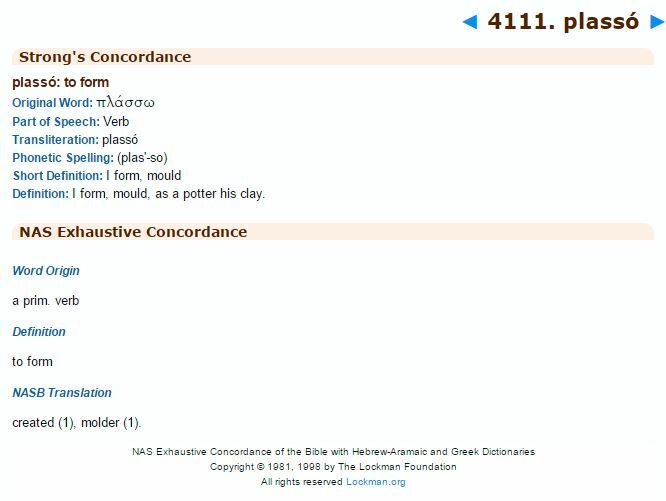 Psalm 19, clearly, states that the Sun moves against the background of the Mazzaroth constellations!! “THE HEAVENS DECLARE the glory of God. The EXPANSE shows His handiwork. DAY AFTER DAY THEY pour forth SPEECH, And NIGHT AFTER NIGHT night THEY display KNOWLEDGE. Like a strong man rejoicing to run his COURSE (H734 – a way, a path). The circuit has a beginning “from” and an ending “ends.” Then it is repeated again and again, yearly!!! There is a beginning and an ending of the Mazzaroth / Zodiac. The beginning is Virgo and the ending is Leo. The Gospel account begins with a BABY and ends with a KING. The ONLY way that this apparent movement of the Sun in its “circuit” can be accomplished is IF THE EARTH orbits the Sun annually!!! Rob, you have yet to adequately address this TRUTH! You are seriously delusional Mary! Psalm 19 describes the SUN moving, not the Earth. To say otherwise is to FORCE a bogus interpretation upon the text, grossly distorting it into meanings NO ONE one get from a simple reading. The sun, moon and stars are ALL recorded as moving. Earth is NEVERRRRRRRRRRRRRRR recorded as moving. And yeah, I have addressed this. Figure it out. 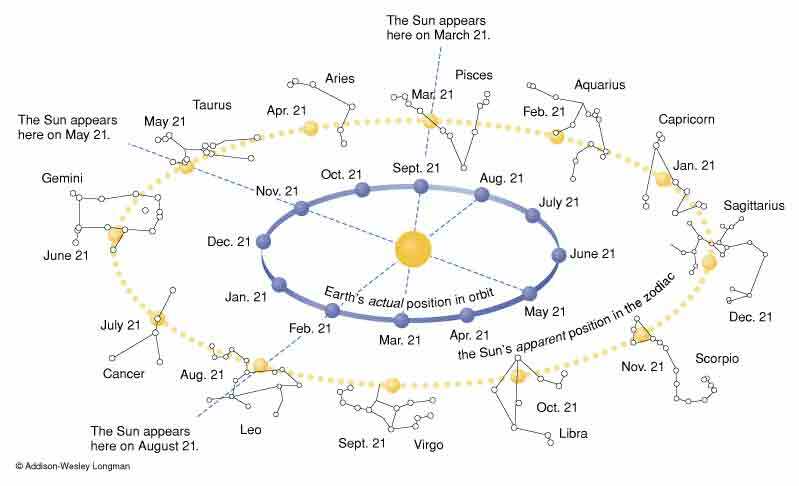 When the Earth orbits the Sun, IT APPEARS THAT THE SUN is moving with respect to the background stars / constellations! How do you explain the changing of the stars / constellations with the changing SEASONS? If you scroll a ~ a quarter of the way down the page here: http://www.setterfield.org/stargospel.html#seasons you will find a diagram of the Mazzaroth. It is the MOVEMENT OF THE EARTH around the Sun in its YEARLY ORBIT which brings the stars / constellations of the Mazzaroth sequentially into view in our night sky. It doesn’t matter where you live on THE EARTH, the Mazzaroth stars / constellations are seen SEASONALLY! Please explain how that happens in your FE construct? You constructed your FE mobile of the Sun and Moon moving over your FE – closer to the N pole, then moving S to the Equator, then moving S to the S pole, then moving N to the Equator, then moving N to the N Pole, etc. You have NO EXPLANATION for WHY there should be SEASONAL MOVEMENT of the Sun and Moon on your FE model. What you, actually, did was to take what actually does happen, SEASONALLY, because the spherical Earth makes a yearly journey around the Sun ALL THE WHILE KEEPING ITS NORTH POLE AXIS POINTED TO THE REGION OF THE SKY where the North Pole star is. So, there you took your FE stationary picture and placed the movement of the Sun and Moon North and South of the Equator, BECAUSE of the Earth’s axial tilt, and BECAUSE the Earth makes a YEARLY TRIP AROUND THE SUN. That was a CHEAT! Your FE with respect to the ACTUAL MOVEMENTS of the Sun and Moon ANNUALLY, does not have a CAUSE AND EFFECT accounting for what is actually observed by all Earth-observers!! 1. What is the cause and effect of Seasons? 2. What is the cause and effect of the HIDDEN Mazzaroth constellations / stars, annually? 3. How does the Sun MOVE AGAINST the background of the Mazzaroth / Stars, ANNUALLY, according to your FE model? 4. Why can’t I see the Gemini Constellation in May-June-July? 5. Why can’t I see the Southern Cross from Canada? 6. Why can’t Australians see the North Star from Australia? 7. If the Earth orbits the Sun, yearly, would the Sun APPEAR to move, too, even though, with respect to the Earth, it doesn’t move? 8. Give your cause and effect for how it is possible in Psalm 19 for the Sun to move, sequentially, over a one year period, through the 12 constellations of the Mazzaroth. I claim that all holding to the FE model are “seriously delusional”! Here is another question: How is UP and DOWN determined gravitation-ally? He answered, “No.” He was shown the Southern Cross, though. How is that possible on a FE? I am pleased to hear you using scientific vocabulary. You even define your terms. That gives me some hope that you will, eventually, tell the world you were mistaken. I am curious, Rob, “Do you understand that the Creation expresses TRUTH?” I know that you consider that The Bible IS TRUTH. Then, I am curious as to why your DENY legitimate science-truth? I have, been AGAINST ALL Evolutionary, Atheistic, Humanistic, Speculations, etc., which have been spewed forth by “so-called-scientists.” I share your ANTI-statements concerning what is being preached in our public school classrooms!!!! BUT, I DO ACKNOWLEDGE that there is such an activity as LEGITIMATE SCIENCE RESEARCH and DATA CONCLUSIONS / EVIDENCES. I get the understanding from your posts that you throw ALL SCIENCE into the same box and dismiss, even that which is legitimately gleaned science TRUTH. I am not mistaken. Scripture says what it says. And it ABSOLUTELY DOES NOT support anything you believe to be true about the cosmos. Thus, I wonder if you will one day ever be able to admit being wrong? Rob, can’t you answer any of my questions? A) I’m not going to allow you to monopolize my time. B) MOST of your questions have already been addressed either by myself or others, so I’m not going to do your homework for you. C) What FEW questions you have that I don’t (yet) have an answer for, do no NOT trump the vast amount of evidence, which points to the contrary of the view you have. The diagram that I posted first is incorrect! When you look toward the Sun during the daytime, you CANNOT see the constellations / stars which EXIST behind the Sun. Therefore, Earth viewers see the Mazzaroth constellations / stars which are 180 degrees opposite where the Sun is during the daytime. Rob, this video was made in SPACE. The Bible absolutely describes the Earth as Flat and Stationary. 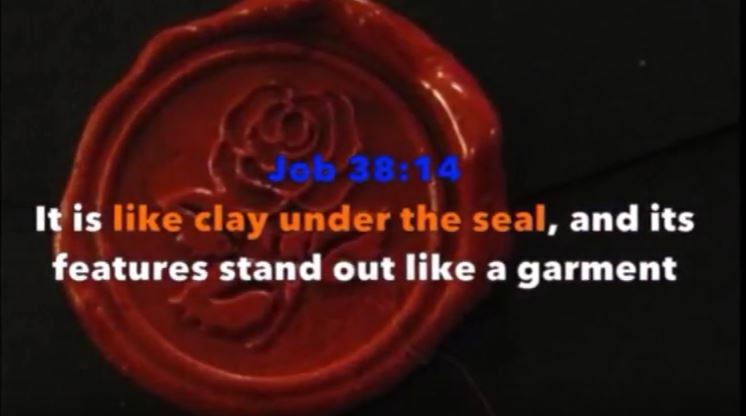 Romans 3:4 “…let God be true, but every man a liar” Job 38:14 ‘The earth takes shape like clay under a seal; its features stand out like those of a garment’.What does clay under the seal mean? Have you ever seen someone seal a document or letter by melting wax and stamping their seal into it? Wax is the clay in this example as wax replaced clay for this method. It’s a perfect, FLAT description of the shape of the Earth. The Earth is stamped flat. Also, you get an elevated border around the outside, which is Antarctica. Joshua 10:13 And the sun stood still, and the moon stayed, until the people had avenged themselves upon their enemies. Is not this written in the book of Jasher? So the sun stood still in the midst of heaven, and hasted not to go down about a whole day. My question is if the Moon orbits the Earth and they both orbit the sun.. Then why does it states the sun and moon stood still..Hmm think about it.. Obviously the Earth doesn’t Moves or orbits anything.. The word is just as it states. Our earth is immovable, and is set upon pillars. This is how God describes earth as his “footstool” a flat surface, with 4 pillars. The firmament declares his handiwork. He set the “ends” or “boundary” of the earth. God laid out the earth in a circle, with a firmament above consisting of stars, the sun, and the moon. The Sun is the light of the day, the moon is the light of the night. It actually gives off its own light. We have a firmament above us, or dome. Wow, God is so amazing. This truth is coming out NOW because it has something to do with the sealing soon to take place. This is a safeguard from fake alien deity’s, evolution, or anything else that subscribes to the notion that we “aren’t alone” in this place. We are alone. We are sealed in, and given a 6,000 year probationary status. After that , the earth has its 1,000 year Sabbath. Then God recreates again. The Flat Earth is biblical, I urge all Christians who believe in the Globe to study to show them self approved and to prove all things, like the bible tells us to do. God is revealing himself to his children as we near the end and true knowledge is being revealed. All impossible on a ball, and only works on a flat earth. Jesus himself told us the stars would fall to the earth. If what we have been taught about stars is true, how can this be? Why would Jesus say something that wasn’t true if he himself is “The Truth”. Definition of Compass – to go around (something) in a circular course. Isaiah knew the difference in a circle and a ball. So if God created the entire universe on the fourth day (sun, moon, and stars), then what the heck were we orbiting on the first three days? How fast were we going? 1,913,785mph? Or maybe God put the Earth in gear after creating the rest of the Universe… To what extent are we willing to disregard scripture to fit what we are being told by people that clearly worship Lucifer and will no longer let us say the name Jesus? 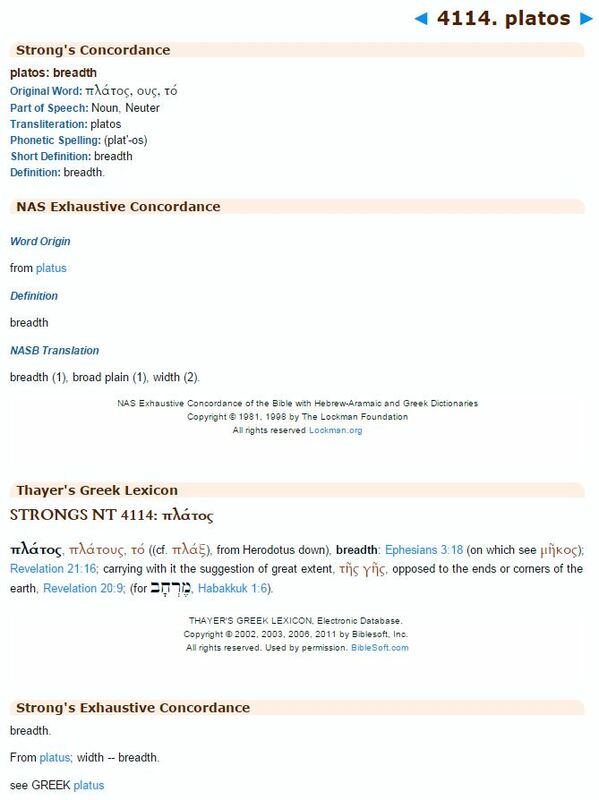 No where does it say that Joshua told the earth to stop spinning, in fact the bible never refers to the earth ever spinning in the first place. It does however reference the sun moving on 67 different occasions. That’s 67 moving sun verses and Zero moving earth verses for those keeping score at home. The reason for this is that the earth is not moving, and the close sun is circling us over head along with everything else just like the bible says. I wonder if the wise in that verse would be the people we consider “wise” today… bet they are. I believe the Bible, the earth is flat and unmovable unless God chooses to shake it. We are not spinning at 1,040 miles per hour and hurling through space around the sun at 66,600 per hour and the galaxy at millions of mph.. The sun and moon are rising and setting according to the path the Lord created for them, unless the Lord chooses to cause them to stand still for His purposes. The sun is not 93,000,000 miles from earth. Our eyes confirm this truth. The god of this world (Lucifer/Satan) has lied to us and we were suckers and fell for it. But the Lord is waking us up now. Praise God our Creator and Savior Jesus Christ. 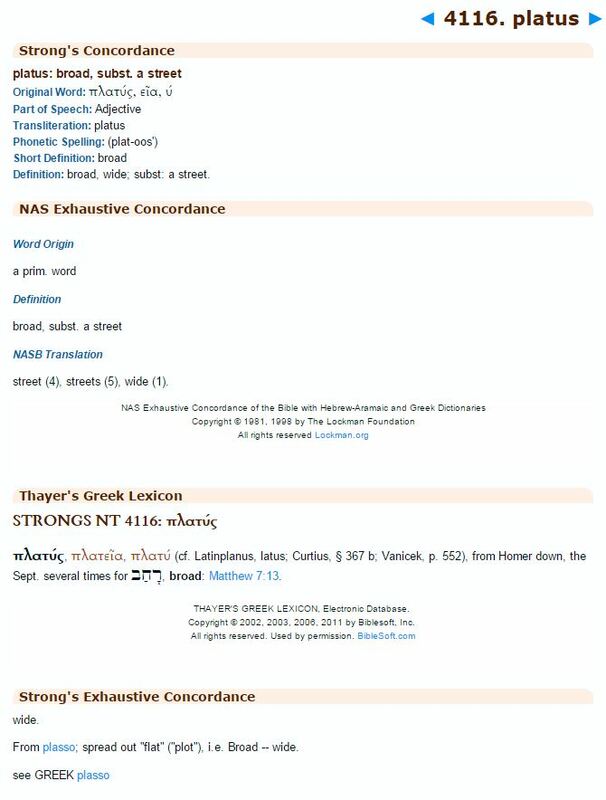 Our earth is immovable, and is set upon pillars, this is how God describes earth as his “footstool” a flat surface, with 4 pillars and 4 corners but the people over at CERN have recently changed “four corners” to “four quarters” in our bibles just to try to push the globe lie. Don’t call God a liar, it took 50 years for me to be led by the Holy Spirit to this truth, but He is moving quickly now, not much time left before His wrath. I’m not entirely sure how your clouds/thick darkness distinction works out. A garment seems like it would also be around its wearer right? Or are you treating the clouds as being a garment figuratively? The former seems to work with the swaddlingcloth comparison.